Intimate size with universal appeal. 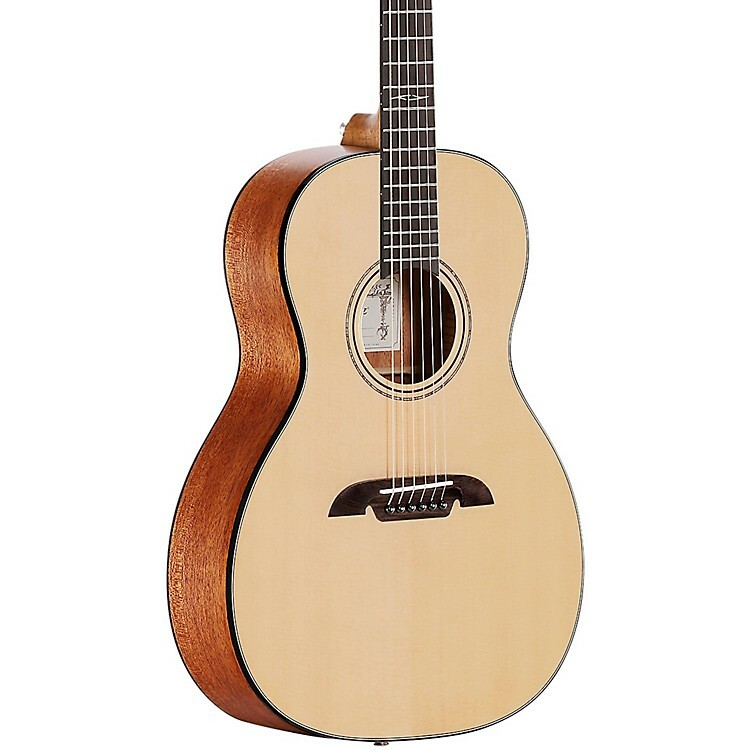 The “M” in Alvarez's AMP610E Artist Series acoustic-electric guitar stands for “modern”, as this more retro-styled instrument is also their idea of a “modern” parlor guitar. The main difference from this parlor compared to others is that it was built with a longer scale length, the neck joins at the 14th fret instead of the 12th, and it has a solid headstock rather than a slotted one. These changes mean that the AMP610E is a small-bodied instrument which harkens back to the Dust Bowl era, but comes with a longer neck that makes it look more elegant, has more string tension, and provides more voice and arguably a more versatile guitar than its shorter scale cousin. The AMP610E has a high-quality, finely grained Sitka top and Alvarez’s renowned high gloss, fine poly finish. The flawless semi-gloss back and sides allow the guitar to resonate and the same finish applied to the neck makes for a great feeling instrument that is smooth and easy to play. Tonally, the AMP610E still has that compressed bark of a parlor, but this version is louder with a slightly more open projection. The AMP610E is fitted with the discrete but lively SYS100 pickup and preamp which is located in the end pin and controlled by a smartly designed soundhole console offering volume and tone controls. Overall, the AD660CE is a smart, lively little guitar suitable for most musical styles with a confident voice and perfect finish. Order this solid Alvarez offering today.